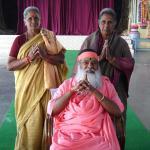 Parama Pujya Sri Swamiji arrived in Gandigunta from Vijayawada on Jan 3. The trip continued thru Gandigunta Village, (Vuyyuru). 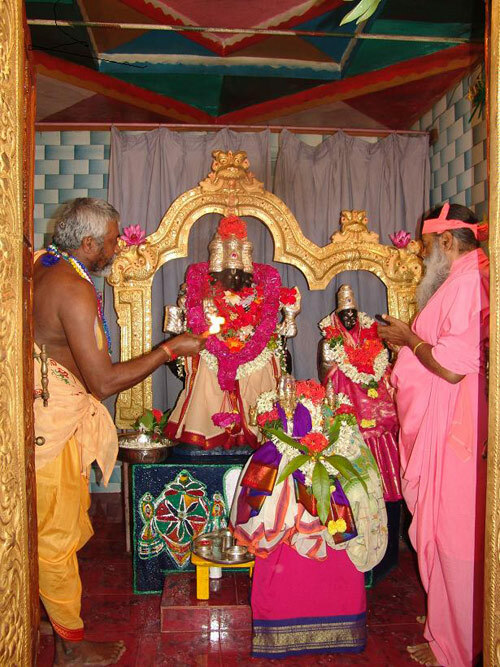 Datta Digambara is consecrated here by Pujya Sri Swamiji. 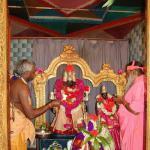 • His Holiness was accompanied by Sri Datta Vijayananda Teertha Swamy (Bala Swamy) in this tour. • The sonorous voice of Sri Swamiji was heard for the first time in the new year in Gandigunta Ashrama. 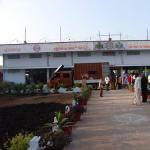 • Renovated Yagashala was inaugurated. 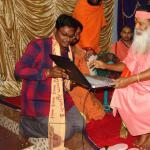 • Sri Swamiji blessed the the plans for construction of New Block in Guru Nilayam. • Noted Shastra Scholar Sri Oruganti Ram Lal Sharma spoke about Guru Tattva. 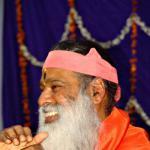 • President of Datta Yoga Centre – USA, Sri Velagapudi Prakasa Rao, who hails from the neighboring village was instructed by Sri Swamiji to speak about his association with His Holiness. His emotive speech in Telugu captivated the audience. 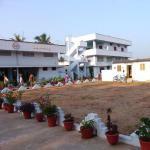 He was appointed as a member of this Ashrama. 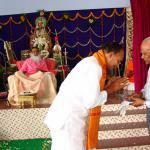 • All the visiting Foreign Devotees and NRI’s were honoured by Gnana Bodha Sabha.